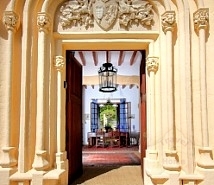 Newly renovated and decorated custom house on the bluff at the mouth of the Majorca. Front house Confronting Ocean, with no roads to cross to get to the beach! This charming vacation rental house is located in a quiet neighborhood just a short stroll from the beach. Holiday House Can Franca is just a short distance to the Majorca, offering shopping, restaurants, and nightlife. Holiday House Can Franca vacation rental rates $235 per night. Prices are subject to switch with no notice.